Woodberry Down has slipped under my radar in the sense that despite having lived just up the road for over a year, at Stamford Hill, in the 1970s, I have never walked around it or given it much thought. However, a recent article that came to my notice this week is above average and a wonderful description of the goings on there so I think it deserves a mention here. 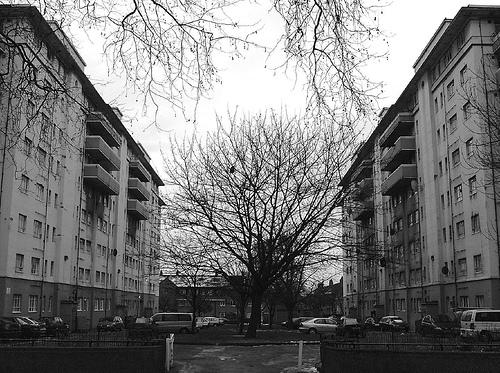 “On the Woodberry Down estate in Hackney, east London, old grey Soviet style council blocks surround the brown brickwork characteristic of post-war social housing. One of London’s biggest council estates, it was built by the London County Council in the 1940s as a utopian ‘estate of the future’. 70 years on, a brand new private apartment block rises above the old and the estate is once again being turned into a social experiment. Located north of Clissold Park, in close proximity to Manor House tube station, the area is regarded as deprived but with great local assets, and a regeneration project has been underway for a number of years.